I have a confession to make; a proper one, a serious one. I’ve kept quiet about it until now and when the topic’s come up in the playground I’ve just kept my head down. And when the last lot of paperwork came home, I just slid it to the bottom of the pile. But no more. I’m going to deal with this once and for all. I’m finally going to come out. So here it is: I haven’t paid my voluntary school fees. And it’s not just because I’ve haven’t got around to it yet; I didn’t pay them last year either. I used to pay quite consistently, but somewhere along the line – for reasons I can’t even remember – I stopped. And then recently the subject came up again and it got me thinking. I haven’t the faintest idea how the funding works for our school. What we get from the government and what that covers. What the voluntary fees actually go towards. How many of us pay them and how many don’t. No clue. So, I thought I would put on my investigative blogger hat and go find out some answers to these questions. This is what I discovered: prepare for a bumpy ride. The funding we get from the State and Federal government covers the salaries paid to our staff which is broadly calculated on a per-capita basis – set amount of money for each child. We also get funding for general operational expenses which cover some classroom resources, some building and maintenance and some cleaning, but there’s a shortfall in all those areas. We get some money to cover relief teachers when staff are sick, but again, not enough. In fact – and I was pretty shocked by this – government funding represents only 33% of our operational budget. That’s all. We have to make up the rest with our voluntary fees and if we don’t, things don’t get done, or the kids just miss out. We don’t get funding to cover any kind of staff professional development, excursions, extra-curricular activities or sporting events. We don’t get money for any kind of major refurbishment or for replacing stuff that packs up or falls down. Apparently, we’ve already spent the amount the government has given us for this year for building and maintenance. Basically what this means is that we are currently about $90,000 short on what we need for the school to function properly in all these areas. This problem is compounded by the fact that last year our payment of voluntary fees was our worst ever! Obviously, there’s a cumulative effect which, over time, has a huge impact on what we can achieve. 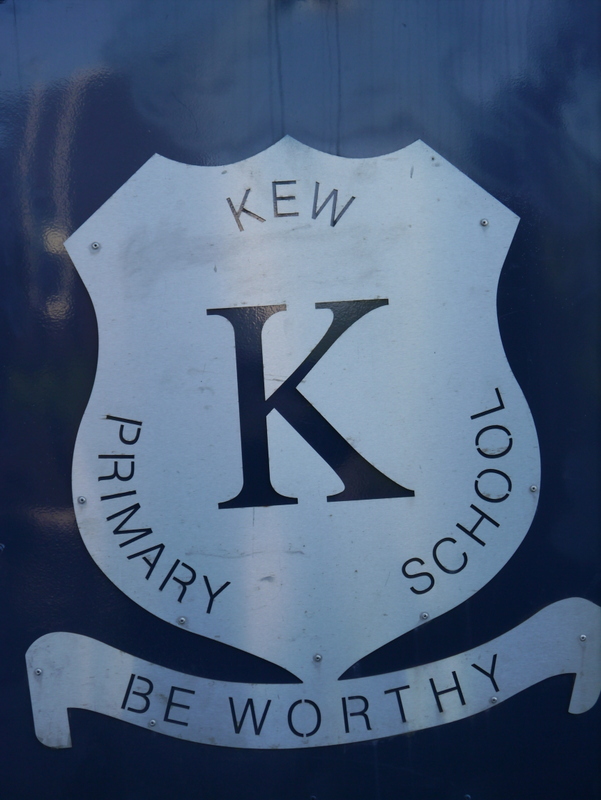 Now, the most interesting thing I discovered is that to date 36% of the voluntary fees have been collected at Kew Primary. I wondered how this compared to other schools and did a quick check of Eastern suburb primary schools with similar fees. South Camberwell, Chatham and Mont Albert collect about 95% of their voluntary fees each year, and East Kew, about 90%. Ouch! That’s a huge difference. The disparity between us and those other schools surprised me to be honest and I started to think about why that might be. I’m going to speculate here, but I think we’ve gotten into a kind of downward spiral, a negative mind-set; the school’s had a very rough ride over the past couple of years and I think that may have had an impact. Somehow we need to put the brakes on and start spiralling upwards again. So where has the money gone in the past? The old sandpit had become toilet-of-choice for the extended family of possums living in the roof of the junior school hall and was quickly becoming a major health hazard. It was dirty and unhealthy and needed to go. The cost of removing the sandpit and putting new bitumen down in its place was $26,000. 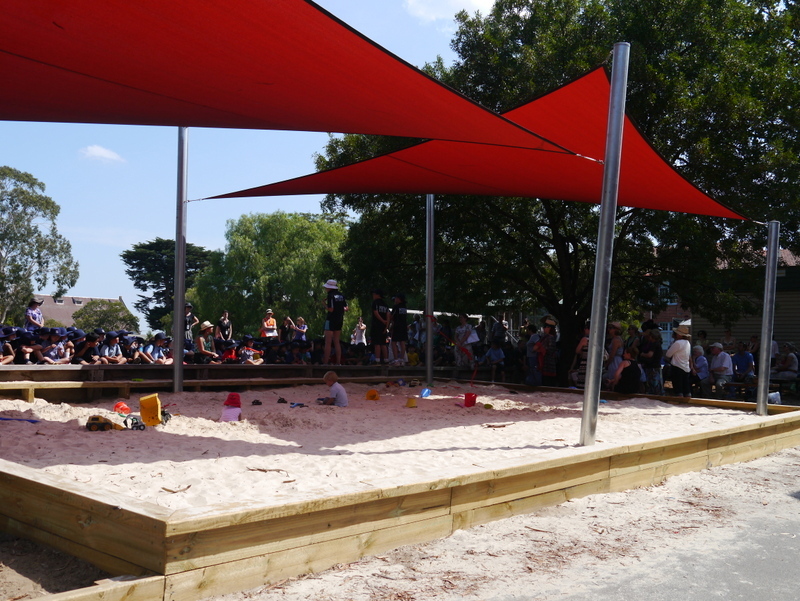 The lovely new sandpit was funded entirely out of money raised by the PTA ($16,000). The canteen was also struggling to keep up with Occupational Health and Safety standards with wonky shelves and cracked bench tops and old unreliable equipment. The canteen refurbishment cost $28,000. The electrics in the library had long since given up the ghost and were in desperate need of replacement. The removal of walls, relocation of shelving, and painting throughout cost approximately $15,000. And if I pay all my fees this year, where will the money go? In the first instance, the voluntary fees will go towards making up the huge shortfall between what the government provides, and what we need to pay for the basic operational costs of running the school. The school is doing a great job of adopting new technologies and making sure our kids are well educated in this area and equipped to meet the challenges they’ll face in high school and beyond. However, the data infrastructure of the school is old and antiquated and already can’t cope with the volume of data the school currently uses. We need to upgrade this urgently. Last term one of the teachers told me quietly that it was almost impossible to get anything done in the afternoons because the kids were all melting like icy poles. Our new building is awesome, but there’s no air-conditioning and that’s something the government will never fund, and the PTA would have to sell an awful lot of sausages to cover it. If we could get close to collecting the same percentage of money as those other local schools, we might have a chance of funding some air-conditioning. The data projector in the library needs to be replaced, the computers are very out of date, and there are a lot of books that look oddly familiar to ones I read forty years ago. Oh and we need some new furniture. Someone suggested recently that it would be great to have a proper running track. Nice idea. So now that I’ve come clean, I’m still not promising to stump up four different levies (for three kids) this week, but I’m going to make a start. I read an article in The Age a while back about how some schools are closing their libraries and replacing them with ‘technology research centres,’ or some such horror. Books and reading are important to me and I want my kids to have a great library that’s well-resourced so I’m going to start by paying the Library Fund. Both the Building and Library Fund are tax-deductible and a few parents have mentioned to me that they plan to get those paid before June 30th. I think our school’s in a good place right now, but imagine how much better it could be – and how much it would benefit our kids – if those of us who can, paid our voluntary fees. 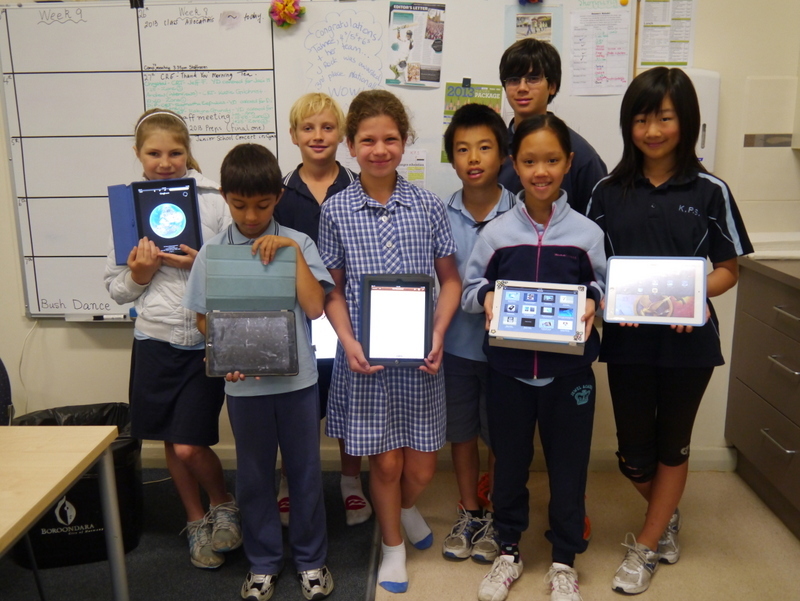 This entry was posted in Funding, School management, Students by jacquitomlins. Bookmark the permalink. 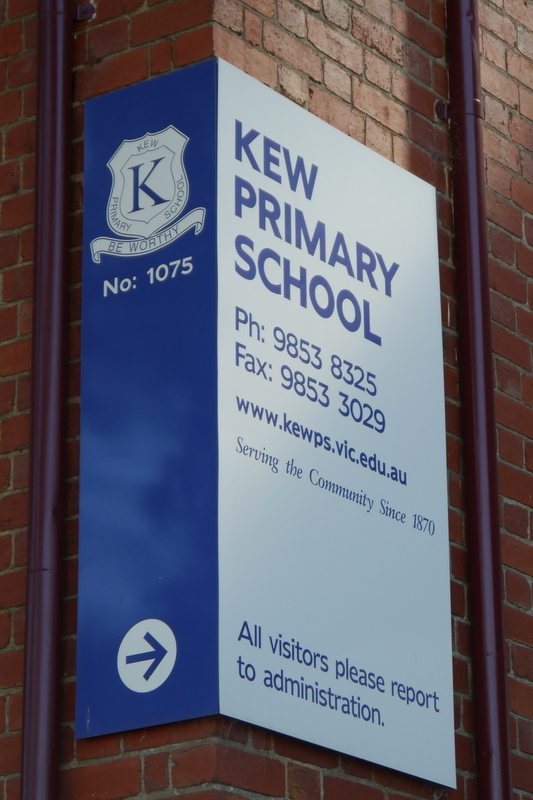 Question: Have Kew Primary’s percentage payment of voluntary fees historically always been that low (particularly as compared to other eastern suburban schools) or has it just dropped in the last few years? We haven’t been doing very well for a few years now which is why I’m hoping we can turn things around and start to increase the percentage of families who do contribute. 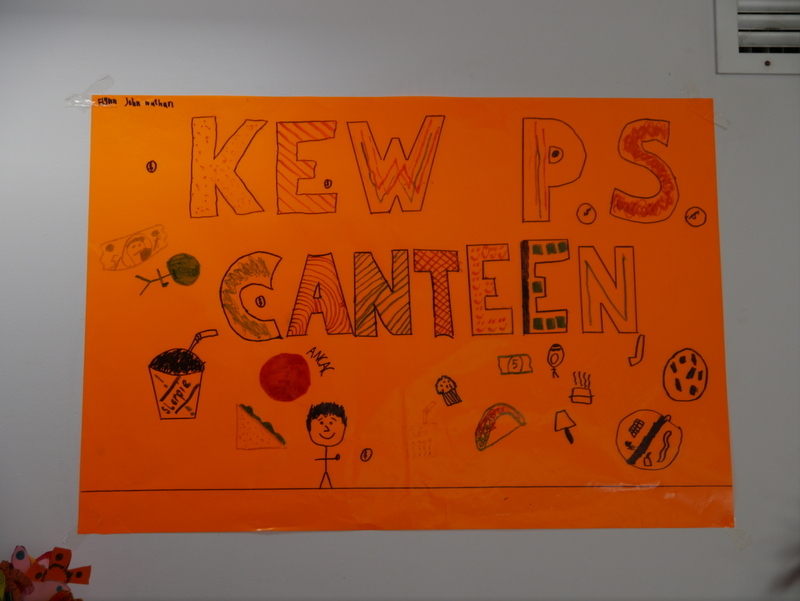 What a positive difference a bit more money (whatever you can afford) could make to Kew Primary. We have the opportunity within our own hands to find the money needed for air-conditioning in every classroom (which is one standard that not many of us would be doing without in our own workplaces); to renovate our oval so that our children could enjoy playing on it all year round even in the middle of winter and how nice it would look! ; to pay for a pottery kiln in our art room which our art teachers have been asking for for the past five years and wouldn’t our kids enjoy that; not to forget basic upgrading of power supply needed for our new technology and air-conditioning, and basic maintenance to old roofs and leaking gutters. We can do anything if we really want to to improve the learning environment of our kids. Let’s do it. Let’s make it happen! I am new to the school this year and have found communication from the school and within the school to be seriously lacking. It is very hard to build the kind of culture that exists at our surrounding schools if there is no dialogue about the school – about the finances, the programs, the personnel and most importantly, what is happening in the classroom. It is hard to have any sense of pride or purpose when you have no idea what is going on!! This blog has been a really important tool in increasing communication and helping people feel connected so thanks Jacqui. But the only way to change the culture is if parents decide that enough is enough and get behind the school. We need to insist on appropriate and meaningful communication. We need to volunteer for committees and help get things done. And the reality is that we need to be in the 90 per cent range of voluntary school fees being paid to recover from the current financial woes and bring the facilities and programs up the standard we all expected when we selected Kew Primary School for our children.